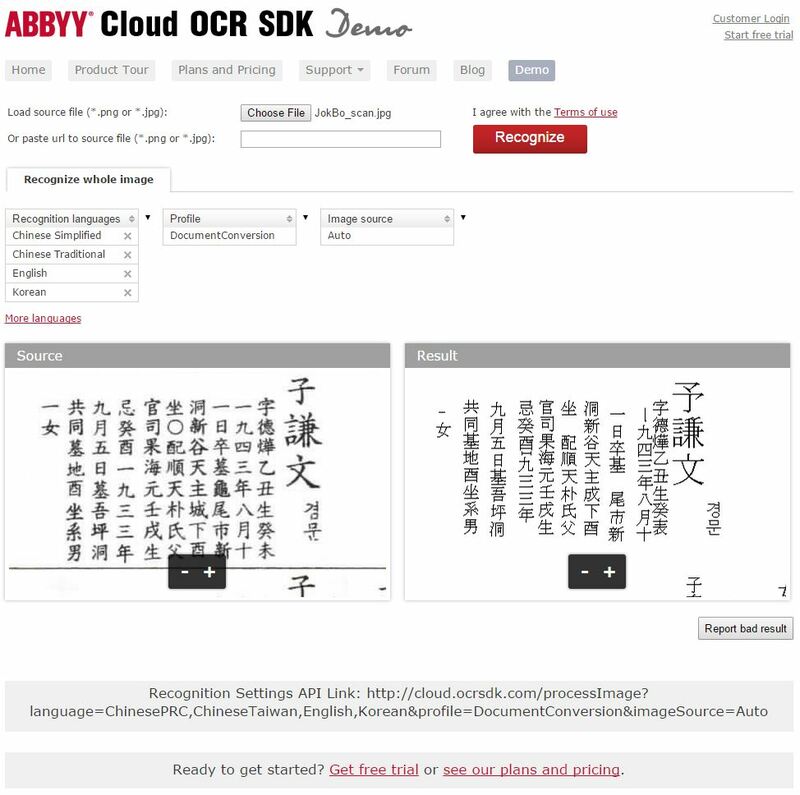 Abby Clout OCR is an online OCR service at http://cloud.ocrsdk.com/Demo/ . They offer 50 free sample runs and charge for anything beyond that. 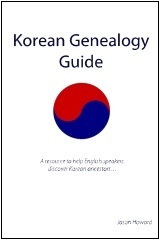 You can upload an image (a scanned page from a Korean JokBo genealogy, for example) and it will automatically convert it into text that you can copy and paste into an online dictionary. I selected Korean, Simplified Chinese, and Traditional Chinese when I ran this test. It isn’t perfect, but it is excellent and can save you a lot of time when translating JokBo records. In the test run below, the left is the scanned source image and the right is the text result. The results are great. There aren’t many OCR packages that output text in the same format as the source — this is a great product for Korean genealogy work.